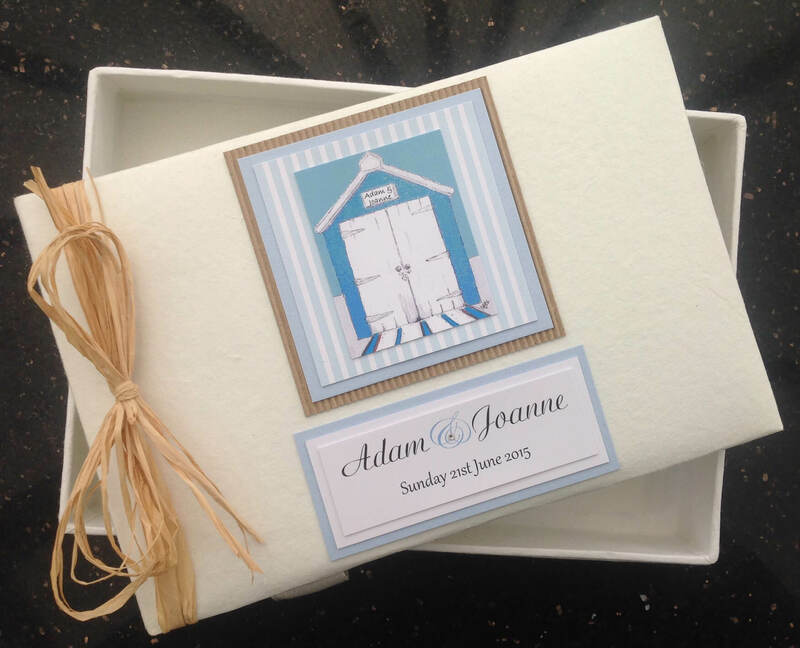 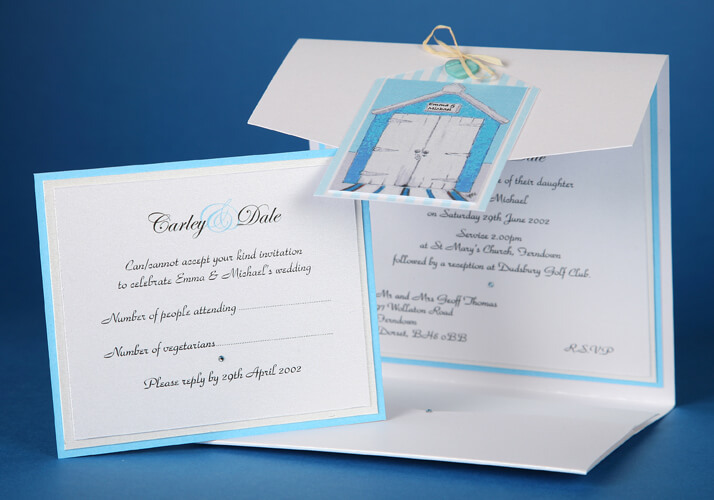 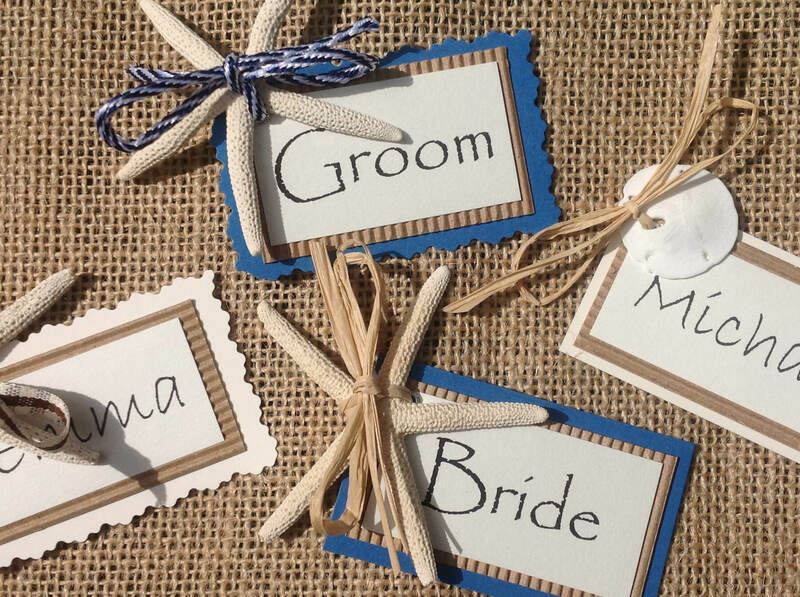 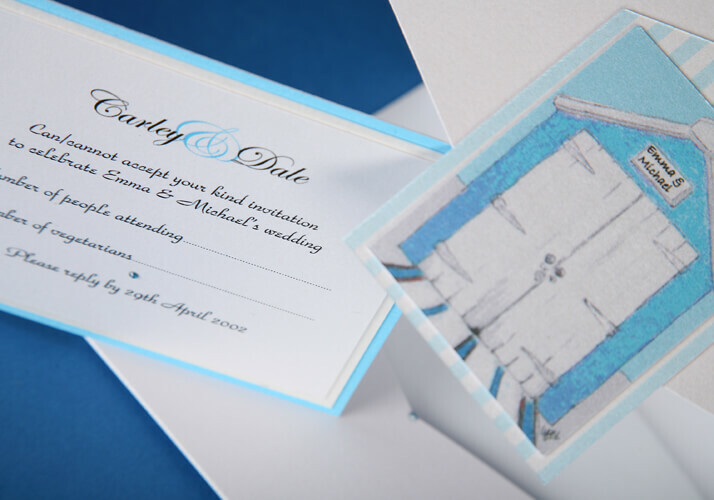 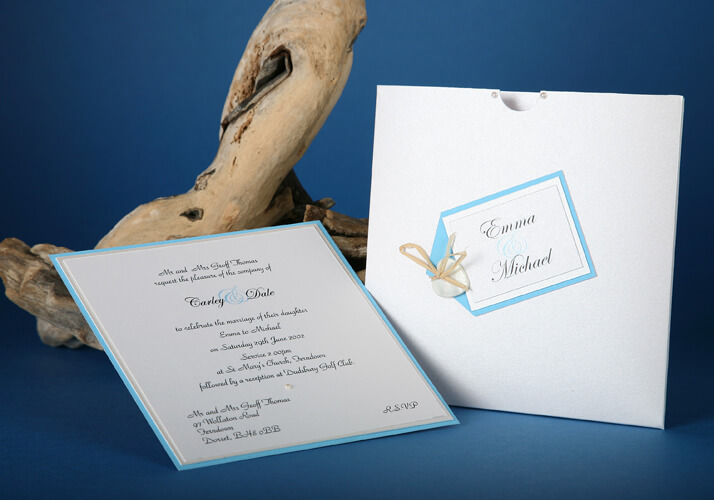 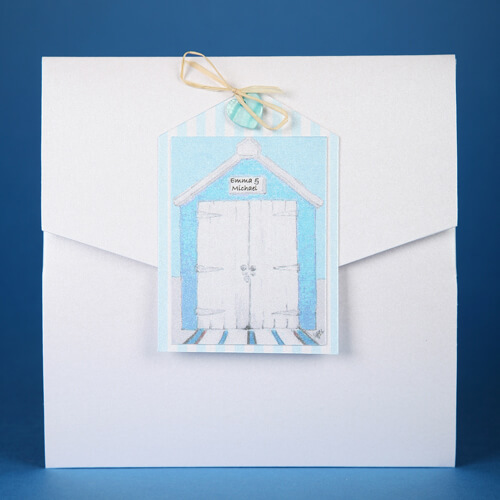 Seaside is a beautiful and quirky pocket-style wedding invitation perfect for a wedding with a vintage seaside beach feel. 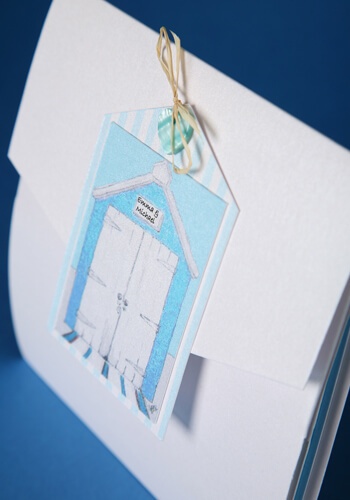 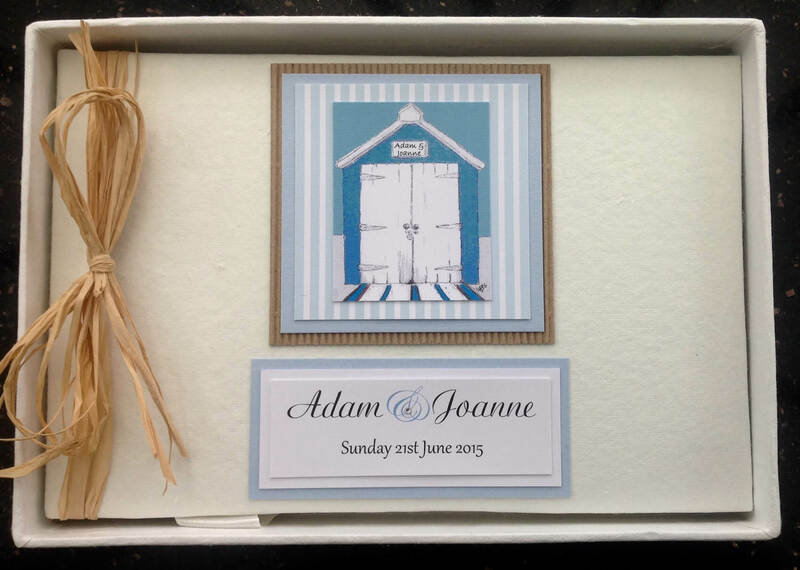 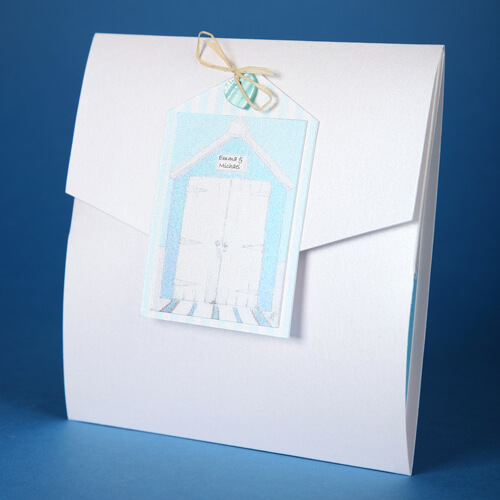 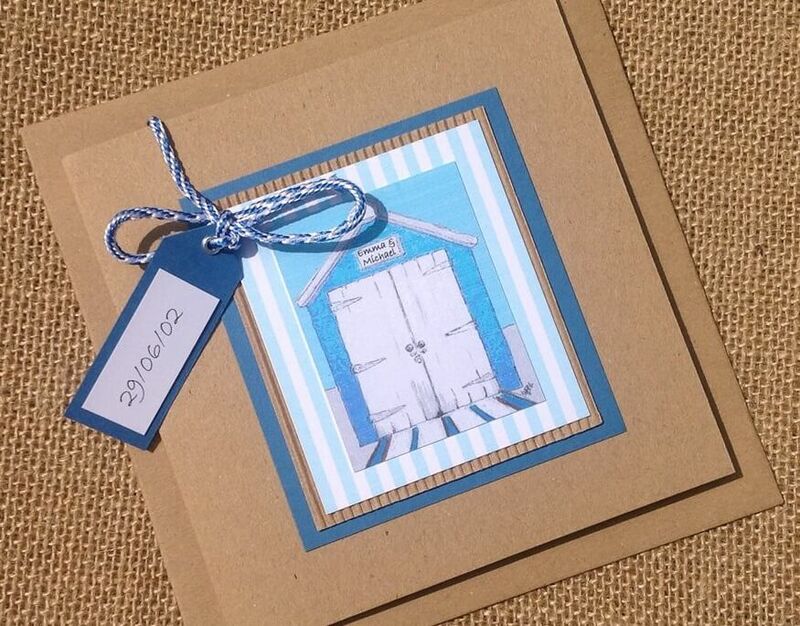 Pastel colours are a popular choice for this design, especially a beautiful powder blue, this design features a deckchair stripe background, and a intricate illustrated beach hut with raffia. 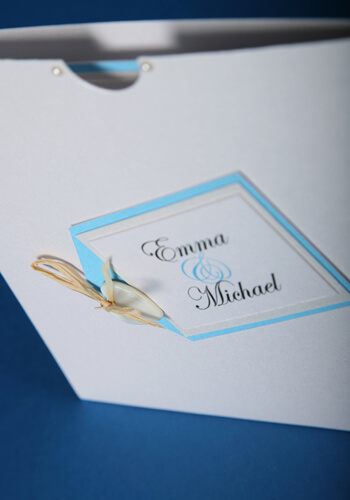 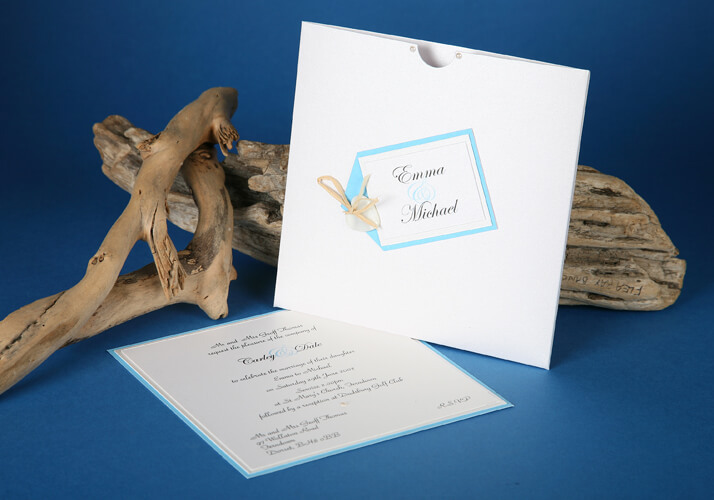 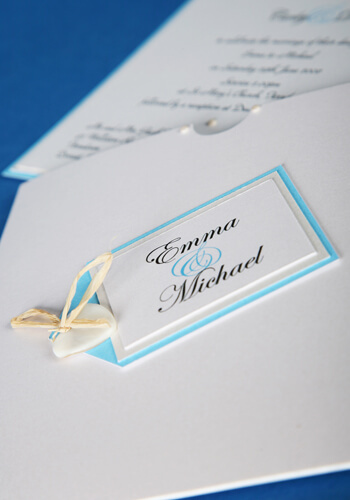 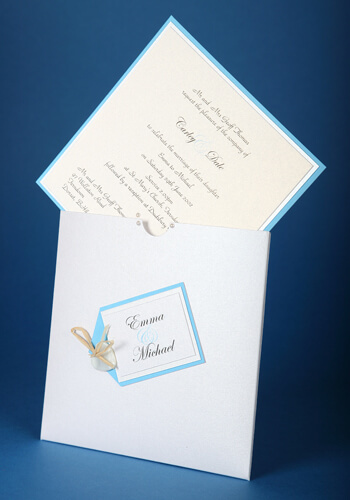 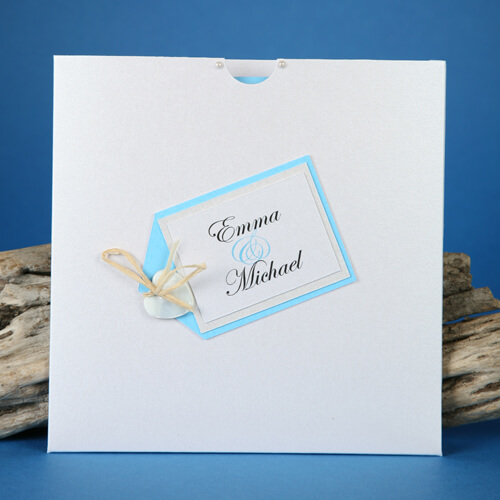 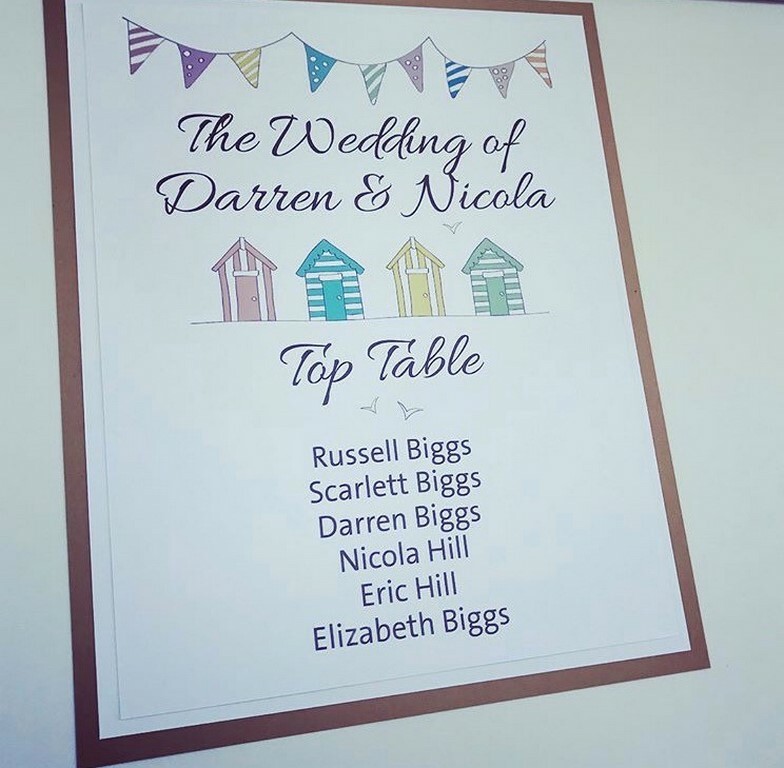 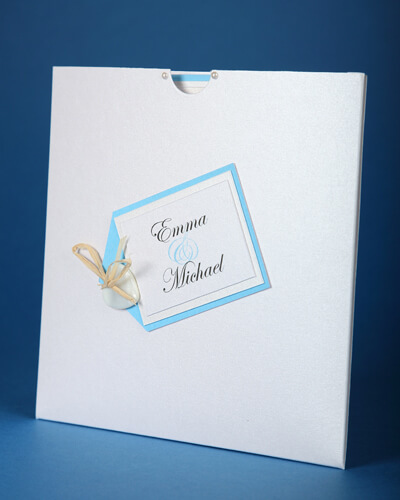 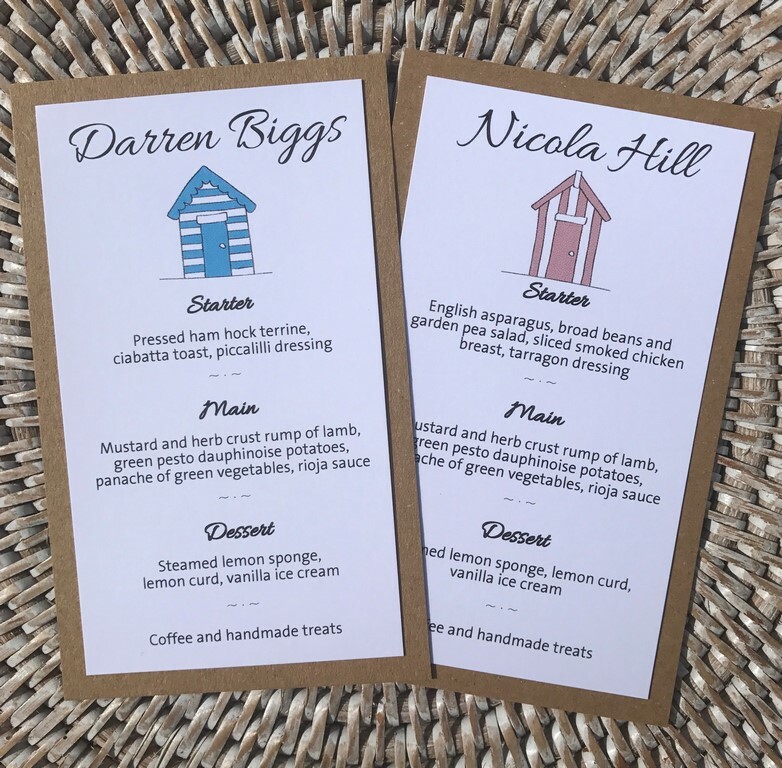 Wording and guest names are printed on a smooth ivory or white matt card, the pocket fold/wallet can be created in either a recycled rustic textured, ivory or white matt card. 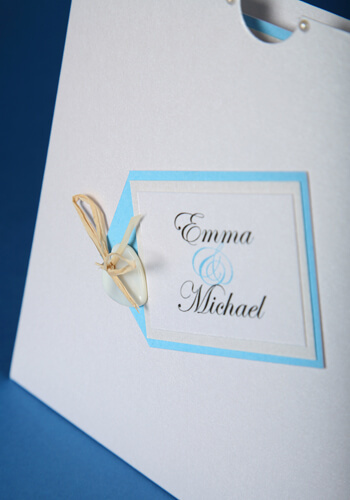 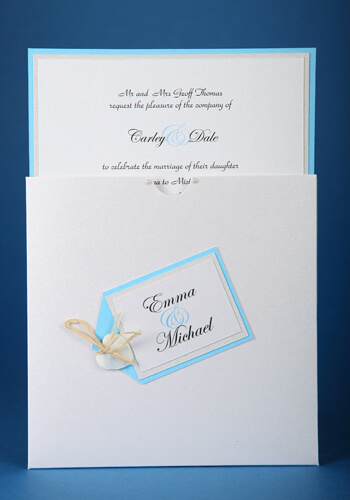 Matching wedding stationery on the day is available in this design to compliment the invitations . . .